Whilst the economy does now appear to be climbing out of its recession, the early signs are that consumers are failing to migrate back to brands, and with supermarkets’ private-label prices expected to fall further as part of their strategy to fend off the increasing challenge of discounters such as Aldi and Lidl, it leaves no doubt that there’s work to do for the self-proclaimed nation’s favourite food brand. 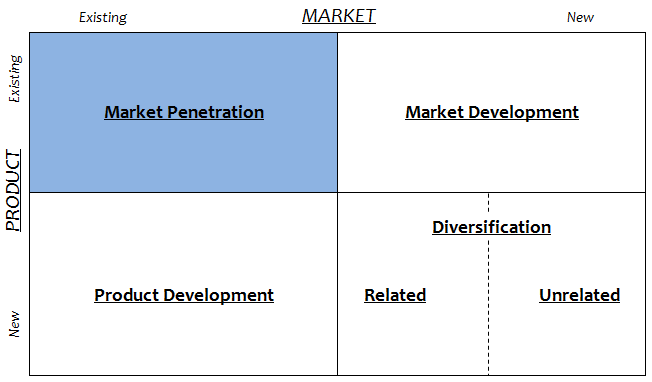 The latest response from Heinz comes in the form of Ansoff’s “market penetration” strategy, whereby marketing efforts are focused on increasing sales of existing products to their existing customer group by adjusting only the ‘Promotion’ element of the Marketing Mix. 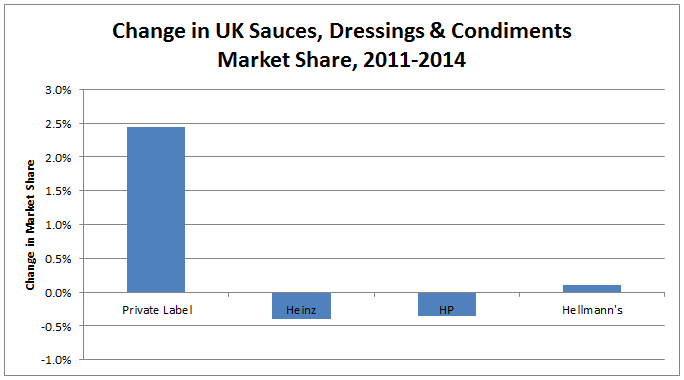 Never has there been a time more crucial for Heinz to exercise this strong brand equity; its market share is declining, its product costs consumers double that of private-label brands (35p per 100g of Heinz vs 14p per 100g for a Tesco mid-level option) and it’s even losing out in Which? taste-tests against this supposedly lower quality private-label competition. Clearly, the issue for Heinz is to somehow reinforce the brand as high quality in consumers’ minds to differentiate from private-label brands and limit the competitive force. Like eighty percent of other purchases, table sauces are a low involvement purchase for consumers – that is, our lives are not dull enough to think too strongly about what brand of ketchup we should buy – so promotion is traditionally limited to reminder advertising to keep the brand front of mind when target customers are next in a supermarket and needing to replenish their ketchup supply. Therefore, combined with the fact that communication channels are more cluttered than ever which increases difficulty in breaking through to consumers, FMCG brands with largely uninspiring products such as tomato ketchup are trying to generate a greater ‘feel’ towards their brand and positive emotions when using its product – as cleverly showcased by Heinz in this campaign. In the 30-second advert, there’s no mention whatsoever of the taste, ingredients or any tangible evidence that Heinz Tomato Ketchup is better than any other, but instead assumes you know that so there’s no need to waste time justifying the point. The key message is simple; when Heinz is an option, there’s no choice to make. Cleverly, I find myself feeling quite nostalgic when watching the advert above – the family scenario of each parent putting Heinz Tomato Ketchup on their child’s meal takes me back to my own childhood and my parents doing the same for me, generating positive memories. As carefully constructed, I almost feel like I’d be cheating myself if I didn’t give my own children Heinz; an emotion no private-label brand can ever take away from Heinz! The second point I’d like to make about the campaign is that whilst the adverts are focused on Heinz original Tomato Ketchup product, the emphasis is on Heinz as a corporate brand (“It has to be Heinz”) rather than this one ketchup product, meaning the positive feeling stretches beyond Heinz Tomato Ketchup and into its wide portfolio of other products and further strengthens Heinz as a corporate brand. Don’t get me wrong, I’m no Heinz evangelist and I’m not claiming there’s anything particularly innovative or revolutionary about this campaign, but I admire it for its methodical and back to basics approach. It’s an excellent example of a business tracking the market, identifying a threat (declining market share), and employing a strategy that exploits the brand’s strengths (strong brand equity and history) whilst understanding the brand’s weaknesses (higher price, limitations in taste). This entry was posted in Marketing Mix and tagged 4 Ps, Ansoff Matrix, Brand Associations, Brand Image, Brand Perceptions, Branding, FMCG, Generic Brands, Heinz, Market Penetration, Private-Label, Promotion, Sauces. Bookmark the permalink.